Our May Customer Gallery WINNER is #11!! Sheri, thank you SO MUCH for sharing your SWEET card with us!! 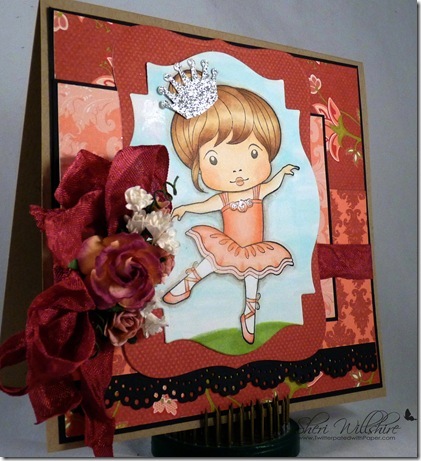 We just LOVE how you colored our Marci Ballerina, blue skies behind her and the crown is just so fitting!! Congrats again!! Please contact us with your choice of any stamp from our store. Wow, this is just fabulous! Congrats Sheri!